Felton’s Automotive Deburring Brushes perform a multitude of functions for any automotive manufacturer, engine manufacturer, and robotic automaker manufacturer. 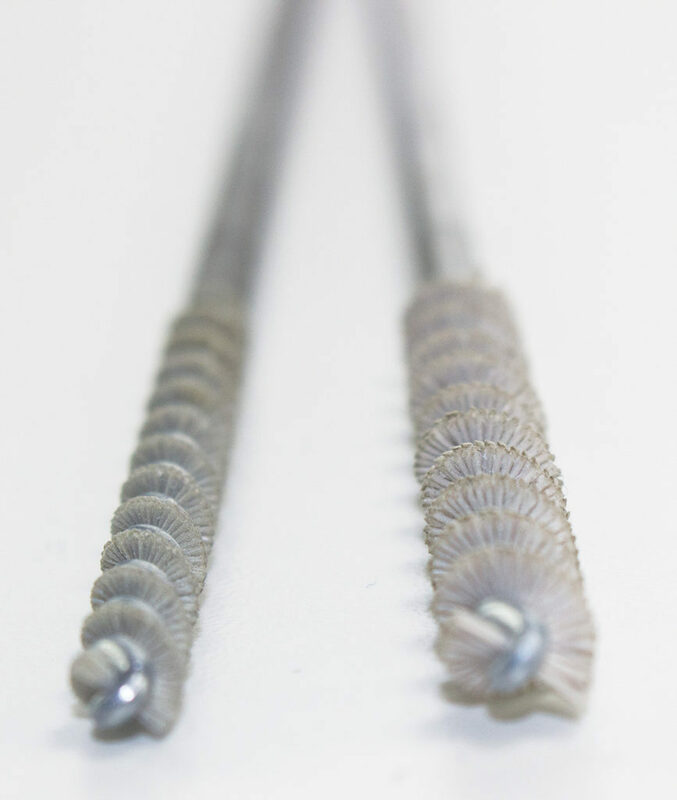 These brushes can have a wide range in design, however the most popular we have found is to have a twisted aluminum oxide or ceramic grit filament in a twisted head, which easily removes burs from the manufacturing process. When properly used, Felton automotive deburring brushes are long lasting and easily maintained. Hundreds of thousands of Felton’s Automotive Brushes are used in the automotive industry to deburr automotive components. Each brush can be custom designed to fit specific shapes and diameters. Most commonly these brushes are used in the deburring process. Felton also has a great trial process in which we make a wide variety of brushes for examination and testing from automotive manufacturers. We work with tool engineers to find a brush that best fits the application for price and tool life. Felton Brushes provide safe, durable and reliable deburring options. Felton Brushes can an even be manufactured with a coolant injecting feature that sprays coolant on the brush head as it is deburring. From small to large deburring operations Felton can supply the brush you need. Felton has developed numerous prototypes for some of the automotive industry’s largest manufacturers by working with tool engineers to develop, and test, some of the most innovative and reliable brushes on the market. Properly used Felton Deburring brushes are long lasting and easily maintained.